T&E TALK: Do you have Significant Wealth Concentrated in a Single Stock? SALT TALK: Act Immediately - Once In a Lifetime Tax Opportunity? T&E TALK: Have you made your Burial Wishes Clear? TAX TALK: Do You Still Need to Worry About the AMT? T&E TALK: Does Your Estate Planning Account for Digital Assets? SALT TALK: Need a Break from SCOTUS and Wayfair? New York – Why Make a Federal Case about It? T&E TALK: Does Your Family Know Where to Find Your Will? TAX TALK: Time to Adjust your Withholding? TAX TALK: How Long Should You Retain your Tax Records? SALT TALK: Stealing Bases–Which State will take the Lead? T&E TALK: Do You Need to File a Gift Tax Return? T&E TALK: Have You Taken State Estate Taxes into Account? TAX TALK: Can You Deduct Home Office Expenses? T&E TALK: Who Should be the Guardian of Your Minor Children? T&E TALK: Tax Reform and Estate Planning - What’s on the Table? SALT TALK: Golf and a Little Bit of Residency Planning, Anyone? T&E TALK: Who Should Own Your Life Insurance Policy? T&E TALK: Is Your Revocable Trust Properly Funded? TAX TALK: Will Congress Extend Expired Tax Breaks? SALT TALK: Remote Sellers - Cry Uncle, Not Wolf? SALT TALK: Traps In Transactions: To Bulk Up or Not? TAX TALK: When Are Moving Costs Deductible? T&E TALK: Is It Time for a Charitable Lead Trust? SALT TALK: Are You a Visionary? T&E TALK: Do You Know the Fate of Your Electronic Documents? 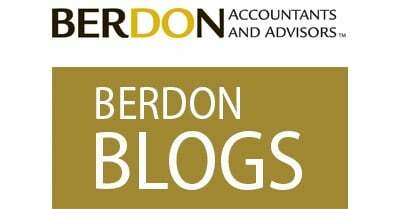 TAX TALK: Overtime Wages – Will They be Changing? SALT TALK: New York Budget Bill “Approved” - I’m Now a Law? T&E TALK: Could Your Charity Reject Your Donation? TAX TALK: Are You Eligible to Claim the American Opportunity Credit? TAX TALK: Are You Required to File a 2016 Gift Tax Return by April 18? TAX TALK: Can you Benefit from the State & Local Sales Tax Deduction? T&E TALK: What if the Death Tax Dies? T&E TALK: Should You Keep Your Trust A a Secret? SALT TALK: Who Wants to RAP[P] About NYC Taxes? SALT TALK: Fantasy Football for the Supreme Court? TAX TALK: Saving for College? Prepaid Tuition Plan v. College Savings Plan? TAX TALK: Are You an Investor or a Trader? SALT TALK: What’s All This Noise I Hear about Uniforms Being Unconstitutional in Pennsylvania? TAX TALK: Does the IRS Tax Frequent Flyer Miles? TAX TALK: Combining Business and Vacation Travel: What Can You Deduct? SALT TALK: Sales Tax Holidays – State Governments Attempt to Improve the Staycation? SALT TALK: Helen Shapiro Claims She’s Not Responsible – Why Are You? T&E TALK: Is a Charitable IRA Rollover Right for You? T&E TALK: Losses from a Wash Sale are Not Deductible. TAX TALK: Entrepreneurs – What Can You Deduct and When? T&E TALK: Pension Payouts - Lump-Sum or Annuity? TAX TALK: Extension Means Businesses Can Take Bonus Depreciation on Their 2015 Returns – But Should They? TAX TALK: Could You Save More by Deducting State and Local Sales Taxes? SALT TALK: 2016: When is a Day Not a Day? T&E TALK: Charitable IRA Rollovers Extended Permanently! SALT TALK: Permanent Place of Abode: Can I Call a Plumber? SALT TALK: Success and Failure Are Not Permanent, So Why Is My Abode? TAX TALK: To Bunch or not to Bunch? TAX TALK: Should You Contribute More to Your 401(k) in 2015? TAX TALK: Which income investment is not like the others? TAX TALK: Can You Say IC-DISC? T&E TALK: How Do I Choose My Estate's Executor?